With the lush PBS Masterpiece series “Indian Summers” soon to begin Season Two, it’s time to look at another round of novels that explore the exotic, complex world of the British Raj in India and the struggles for Indian independence. 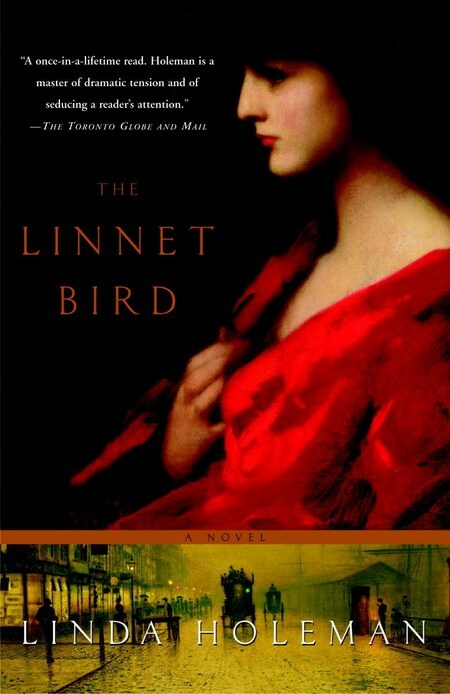 Beginning with the earliest-set book, we have THE LINNET BIRD by Linda Holeman. Born Linny Gow in the slums of Liverpool in the early 1800’s, forced into prostitution at age eleven by her stepfather, the tenacious and enterprising Linny manages to escape that life, reinventing herself as a seemingly respectable middle-class young lady. Her friendship with a merchant’s daughter puts her into position to accompany the girl to India as part of the “fishing fleet,” young women of good birth but no fortune who sail to the subcontinent in search of husbands. With the threat of discovery always looming over her, Linny snares wealthy British officer Somers Ingram as a husband, only to discover that violence and danger can lurk in other places besides the back alleys of Liverpool. But Linny hasn’t traveled this far to yield to unpleasant circumstance; using all her inventiveness and tenacity, she will find a way to claim the freedom—and love—she’s always wanted. 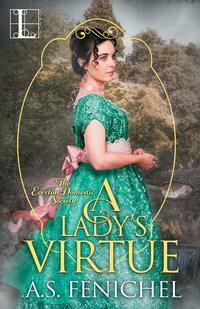 In the claustrophobic, mannered world of British India, Linny Ingram seems the perfect society wife: pretty, gracious, subservient. But appearances can be deceptive. Linny Ingram was born Linny Gow, an orphan raised in the gray slums of Liverpool. 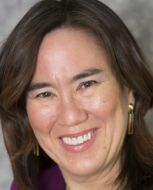 Sold into prostitution by her stepfather when she was only eleven, Linny clung to the belief that she was meant for something more, something better, than life on the cold, dangerous streets. A stroke of luck granted Linny the chance to re-create herself as a proper middle-class young lady, allowing her to join “the fishing fleet”—young women of good birth who sailed to India in search of husbands. India, with its exotic colors, sights, and smells, is a world away from the cold back alleys of Linny’s childhood. But even there, she is haunted by her past, and by the constant threat of discovery. 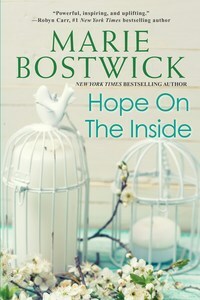 Soon she finds that respectability and marriage bring a new kind of imprisonment. But having come so far, Linny is not about to surrender easily. In the lush tropics of India she finds not only the means of rebellion . . . she finds that she may be capable of feeling love and freedom after all. Next along the timeline is VEIL OF ILLUSION by Rebecca Ryman. This sequel to the love story OLIVIA AND JAI focuses more on the culture and prejudices of Anglo-Indian society. In 1870’s Calcutta, widowed Olivia Raventhorne fights to clear the name of her Eurasian husband Jai, who was accused of involvement in the horrific Bibighar massacre in which more than 200 English women and children were slaughtered. Interwoven with her story is the romantic entanglement of another Eurasian-British couple, Olivia’s beautiful daughter Maya and Christian Pendlebury, the son of a wealthy English official. Though the idealistic Christian hopes he can work to benefit all, both Indian society and the British colonials scorn those of mixed heritage, even a family as wealthy and established as the Raventhornes. With the author’s intimate knowledge of India and the history of this period, she creates a vivid backdrop to the dramatic and often heart-breaking events in the lives of her characters. 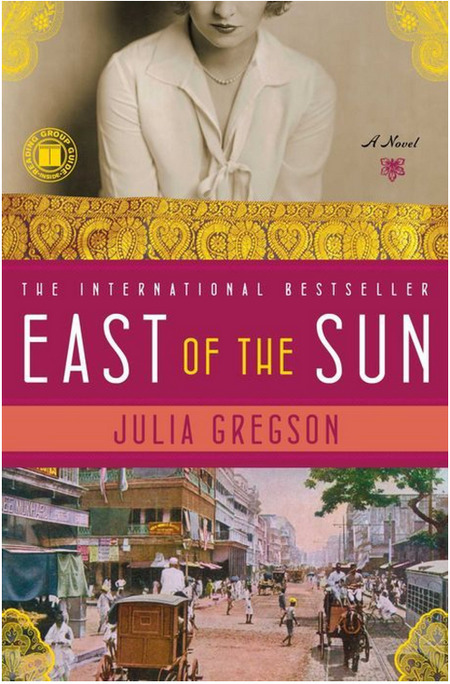 Another tale featuring the “fishing fleet” is Julia Gregson’s EAST OF THE SUN. It’s the fall of 1928 when chaperone Viva Holloway shepherds her three charges aboard the vessel that will take them to Bombay. Viva plans to deliver her charges, recover a trunk full of a relative’s possessions, and return to England. Beautiful, naïve Rose goes to marry a man she’s met only a handful of times, while her good friend and bridesmaid Tor wants to escape the strictures of England and find a compatible husband. After their arrival, Viva’s mission to return home is complicated by her third charge, sixteen-year-old Guy Glover, who had been expelled from school in England for reasons that become more and more disturbingly apparent. Rose finds the reality of marriage starkly different from her romantic daydreams, and Tor struggles to find a place in an environment both totally different from—and much too similarly restricted as—the England she’s left behind. From the wealth and glamor of the Bombay Yacht Club to the poverty of the mean Bombay streets, the women’s stories are set against the background of an increasingly restive India, where Gandhi’s independence movement is gaining force, threatening the very society they have come to join. As the Kaisar-i-Hind weighs anchor for Bombay in the autumn of 1928, its passengers ponder their fate in a distant land. They are part of the "Fishing Fleet" -- the name given to the legions of Englishwomen who sail to India each year in search of husbands, heedless of the life that awaits them. The inexperienced chaperone Viva Holloway has been entrusted to watch over three unsettling charges. There's Rose, as beautiful as she is naïve, who plans to marry a cavalry officer she has met a mere handful of times. Her bridesmaid, Victoria, is hell-bent on losing her virginity en route before finding a husband of her own. And shadowing them all is the malevolent presence of a disturbed schoolboy named Guy Glover. From the parties of the wealthy Bombay socialites to the poverty of Tamarind Street, from the sooty streets of London to the genteel conversation of the Bombay Yacht Club, EAST OF THE SUN is graced with lavish detail and a penetrating sensitivity -- historical fiction at its greatest. We end with two novels that employ the flashback technique. THE SPLENDOR OF SILENCE by Indu Sundaresan opens in 1963, as Sam Hawthorne’s daughter Olivia opens a trunk from India that includes a letter revealing the mysteries of her childhood. The story then shifts to four days in 1945, when U.S. Army captain Sam Hawthorne, recovering from wounds suffered fighting in Burma, arrives in Rudrakot, hunting for his missing brother. But his intention to discover what he can and then leave is compromised when he falls in love with Mila, daughter of his host, the local political agent. The intended bride of a Prince, Mila struggles against her attraction to this foreigner, finding herself trapped between love for Sam and loyalty to her family. Complicating the issue, Mila’s younger brother identifies with the dissident Indians eager for independence, while his elder brother trusts the good will of the Raj. Sundaresan’s mastery of detail and character brings out the full poignancy of their situation, caught in a web of racial prejudice and the instability of a nation stampeding toward freedom from British rule. 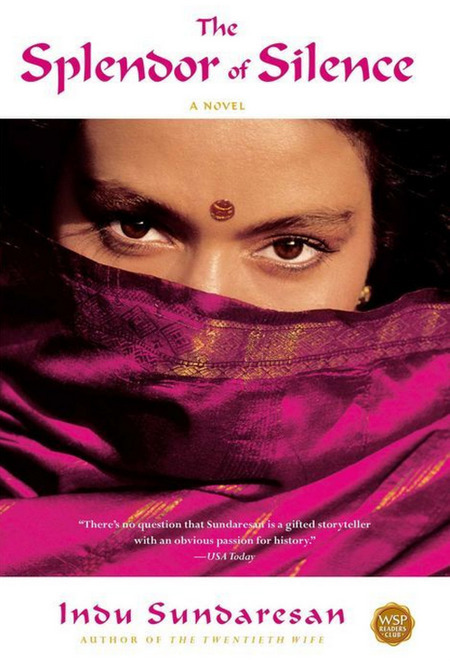 Set in India during four searing pre-monsoon days in May 1942, The Splendor of Silence is internationally bestselling author Indu Sundaresan's most unforgettable accomplishment yet, merging her Indian and American backgrounds into a heartrending tale of love and clashing cultures in a time of war. Sam Hawthorne, a twenty-five-year-old U.S. Army captain, arrives at the princely state of Rudrakot in search of his missing brother, Mike, carrying with him wounds from combat in Burma and several secrets. 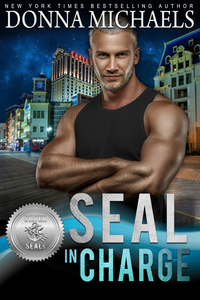 But Sam's mission is soon threatened by the unlikeliest of sources -- he falls hopelessly in love with Mila, daughter of the local political agent. Mila, unexpectedly attracted to Sam, nurtures a secret of her own and finds herself torn between loyalty to her family and Sam. The Splendor of Silence opens twenty-one years later with Olivia, Sam's daughter, receiving a trunk of treasures from India, along with a letter from an unknown narrator that finally fills all the silences of her childhood -- telling her the story of her parents' passionate and enduring love for each other that throws them in the path of racial prejudice, nationalist intrigue, and the explosive circumstances of a country and a society on the brink of independence from British rule. Sweeping and poignant, reminiscent of Paul Scott's Raj Quartet novels, The Splendor of Silence will draw a host of devoted new fans to this hugely gifted storyteller. Our last selection, THE SANDALWOOD TREE by Elle Newmark, is set in the same locale as the PBS series—Simla. Newmark’s tale begins in 1947, when American anthropologist Martin Mitchell wins a Fulbright Fellowship to study in India and brings his family to this small village in the Himalayas. For wife Evie, it is both a chance for adventure and a last desperate attempt to mend her marriage to the husband who returned from World War II broken and troubled. 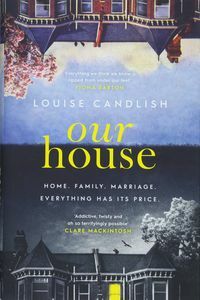 During a frenzy of cleaning in their colonial bungalow, Evie finds a packet of letters describing the lives of two English girls who lived in the house in 1857. Captivated by their story, which provides an escape from the difficulties of her own life, Evie is drawn to discover what the letters left out, a journey that takes her from bazaars and temples to the heart of the crumbling society that was the British Raj. Set against the violent backdrop of an India on the verge of independence from British rule, the dark secrets she uncovers come to threaten her world, forcing her to surmount betrayal and embrace the healing offered by acceptance, forgiveness and love. From incredible storyteller and nationally bestselling author Elle Newmark comes a rich, sweeping novel that brings to life two love stories, ninety years apart, set against the backdrop of war-torn India. In 1947, an American anthropologist named Martin Mitchell wins a Fulbright Fellowship to study in India. He travels there with his wife, Evie, and his son, determined to start a new chapter in their lives. Upon the family’s arrival, though, they are forced to stay in a small village due to violence surrounding Britain’s imminent departure from India. It is there, hidden behind a brick wall in their colonial bungalow, that Evie discovers a packet of old letters that tell a strange and compelling story of love and war involving two young Englishwomen who lived in the very same house in 1857. 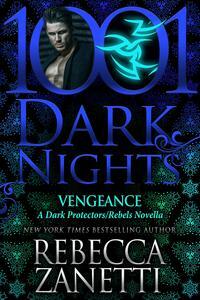 Drawn to their story, Evie embarks on a mission to uncover what the letters didn’t explain. Her search leads her through the bazaars and temples of India as well as the dying society of the British Raj. Along the way, a dark secret is exposed, and this new and disturbing knowledge creates a wedge between Evie and her husband. 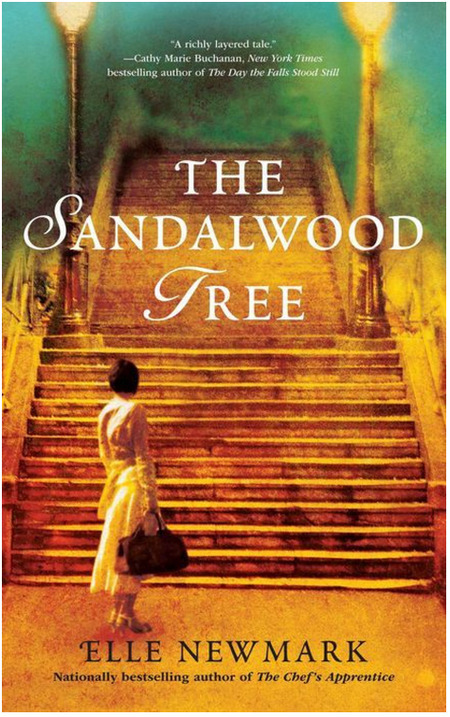 Bursting with lavish detail and vivid imagery of Bombay and beyond, The Sandalwood Tree is a powerful story about betrayal, forgiveness, fate, and love. 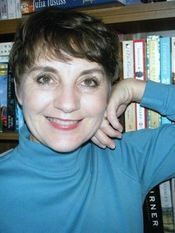 In between teaching high school French and making jaunts to visit her three children (a Seabee in Gulfport, MS, a clothing buyer in Houston and a mechanical engineer in Austin, TX) she pursues her first love—writing historical fiction. 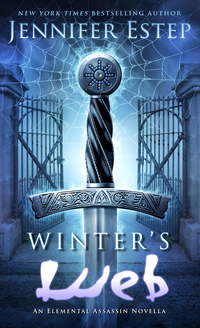 Leader of Hadley’s Hellions, a group of outsiders who bond together at Oxford vowing to reform Society, Giles Hadley wants nothing to do with the earl, his father who banished him, or his stepbrother George, who is the bane of his existence. But he’s curious about the woman rumor says George is to marry, daughter and political hostess of prominent Tory Lord Witlow.